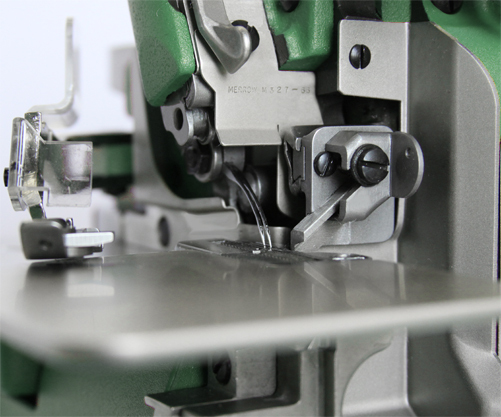 STITCH WIDTH 1/8" - 3/16"
The MG-4D-45 is a two-needle, three-thread, serger. Among the best selling hosiery machines in the past 25 years the MG-4D-45 is a versatile machine that sews well on delicate fabrics as well as mid-weight cotton. The stitch itself is a high count dense stitch that can hold up to wear. 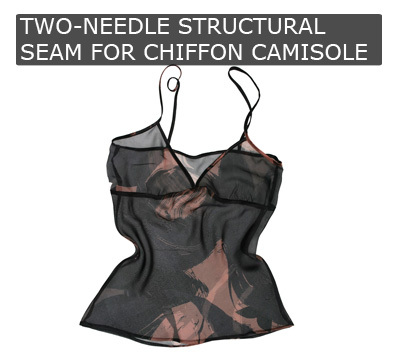 Because of the superior engineering the stitch is consistent and will not pucker or lift. 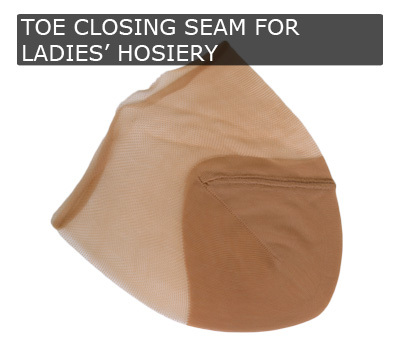 As a panel seam for lingerie or for toe closing, it is a very low profile stitch. This makes it suitable for very delicate applications. 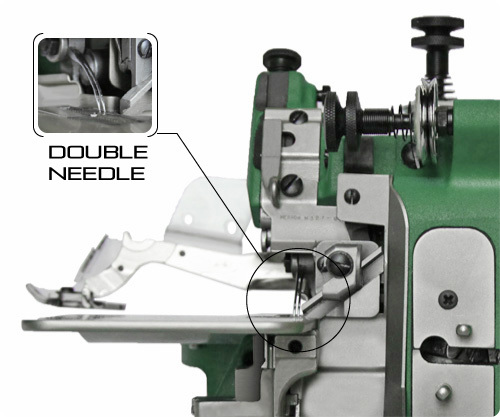 As with all Merrow Machines, the accuracy of the stitch is a critical advantage when sewing high stitch count seams on delicate goods. 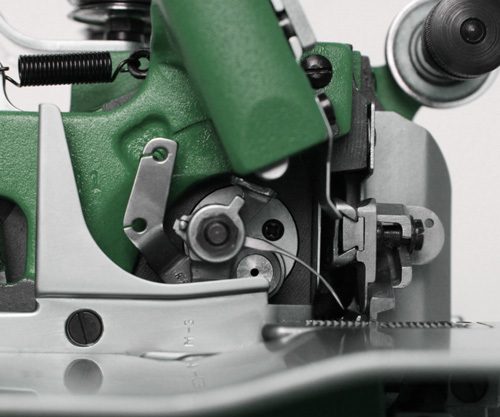 The MG-4D-45 sews a mock-safety stitch at 5500 RPM with two needles. 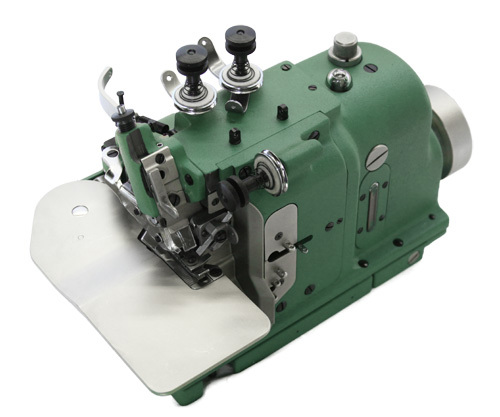 The wide array of needle plates and presser feet allow customers a great degree of flexibility adjusting the machine to their materials. We will build out a custom machine, at no charge, and sew your material off on the MG-4D-45 (or other machine if appropriate). If you would like a video of the process we will provide this along with the sewn sample.